This is the Jeep YJ that started it all back in 1999. It ended up being the catalyst for Tony to start GenRight and offer better product than the market had seen! 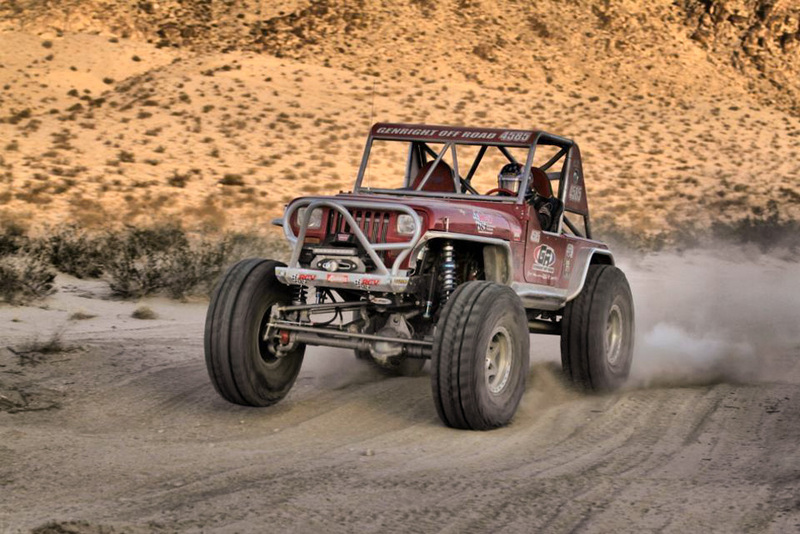 Known for it's amazing candy apple red paint color, it is seen here with a "Rowdy" sounding 550HP LS engine, built Turbo 350 trans, Atlas T-case, 42" MTR's, Currie Rock Jock 60 axles, King 2.5" IBP Shocks, GenRight Suspension, Cage, Fenders, Rockers, Corners and more! Additional specs at the bottom of this page. This started life as a 1987 black Laredo with a 4.2L (258cu/in) 6 cylinder engine and 5 speed trans, but by 2000 was built for the serious trails. It was eventually was featured in several magazines and became well know when Tony toured the U.S. for 7 years to show everyone what his innovative products could do on trails is all corners of the country. Above is from 2009 when the Growler was used to pre-run for King of the Hammers. 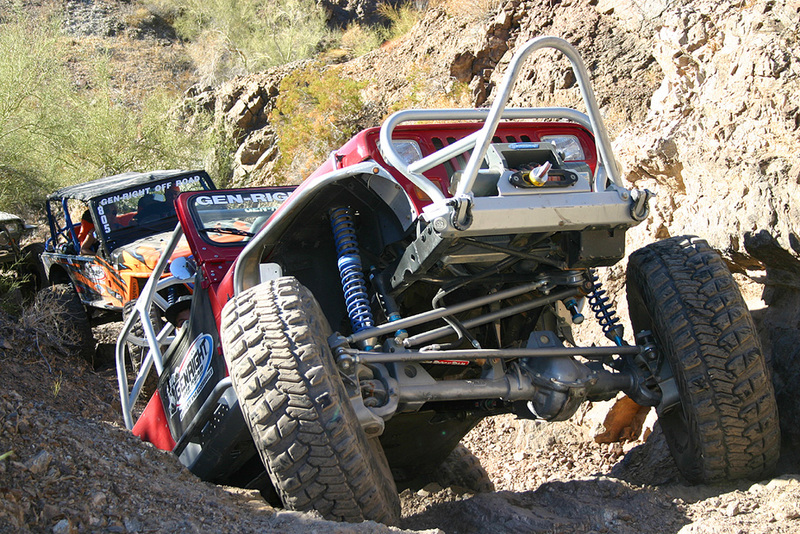 Seen here with GenRight's Legend coil over suspension, Currie Rock Jock axles w/aluminum knuckles, Aluminum corner guards, Boulder series fenders and front bumper, Mini Boat Side Rockers and a full GenRight Roll Cage. 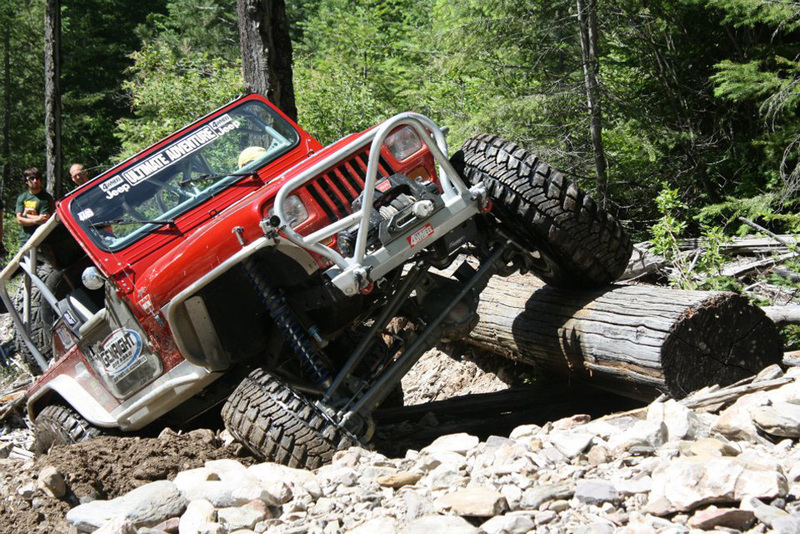 Above, the Jeep has a mean stance and had a ton of ground clearance with Currie Rock Jocks and 42" tires! The Growler measured only 83" outside bulge to outside bulge of the tires. This Jeep only weighed 4200lbs. 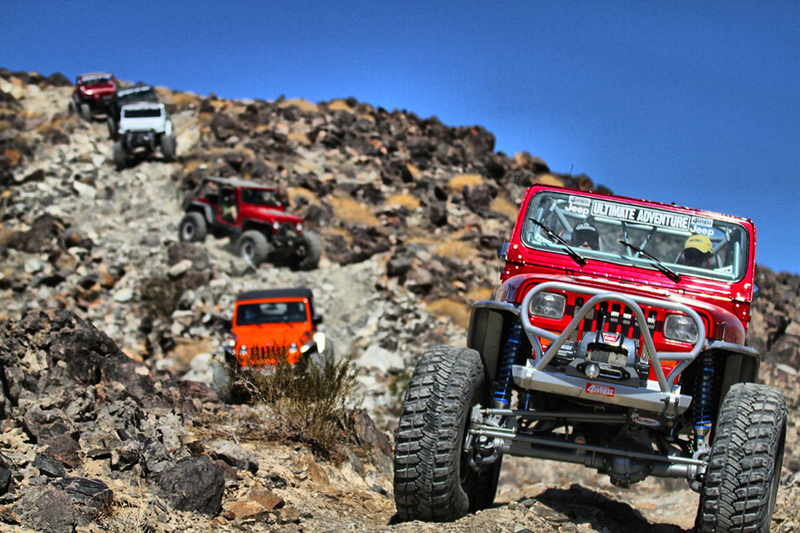 Above; leading the group backwards down the Jack Hammer trail in Johnson Valley. 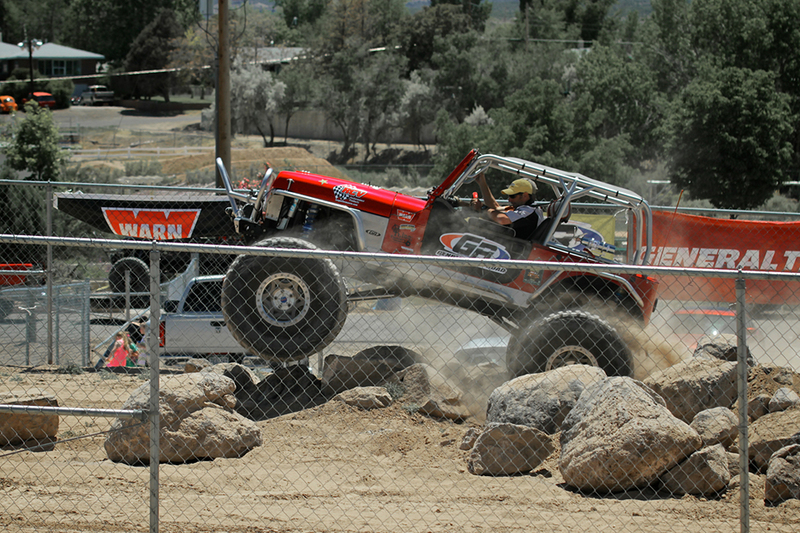 Above; is an action shot of Tony from the Rock Junction event obstacle course (giving a customer a ride). 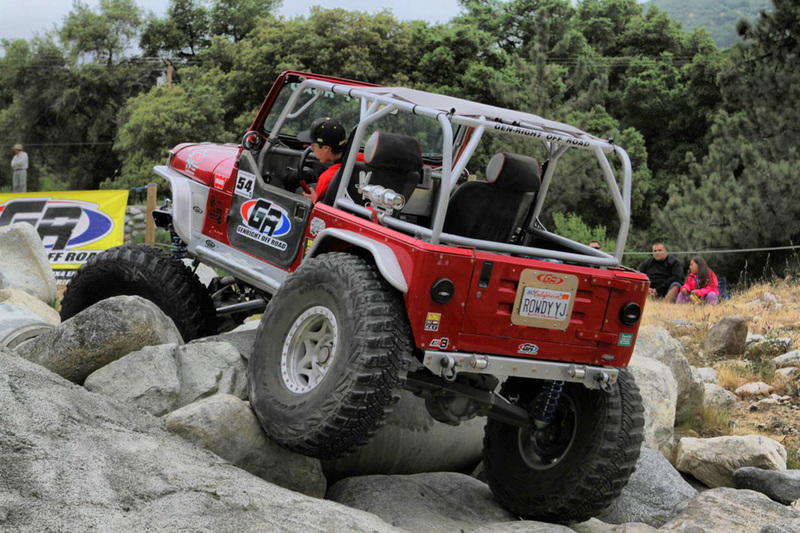 Above; is Jordan competing in the Azusa Canyon rock crawl in 2013 in the Growler. He took 1st place in Tony's daily driver! Above; wheeling through the tight canyons of Parker AZ with friends. Above; this picture was taken during the shooting of the GenRight video "A New Breed" that can be seen on YouTube. 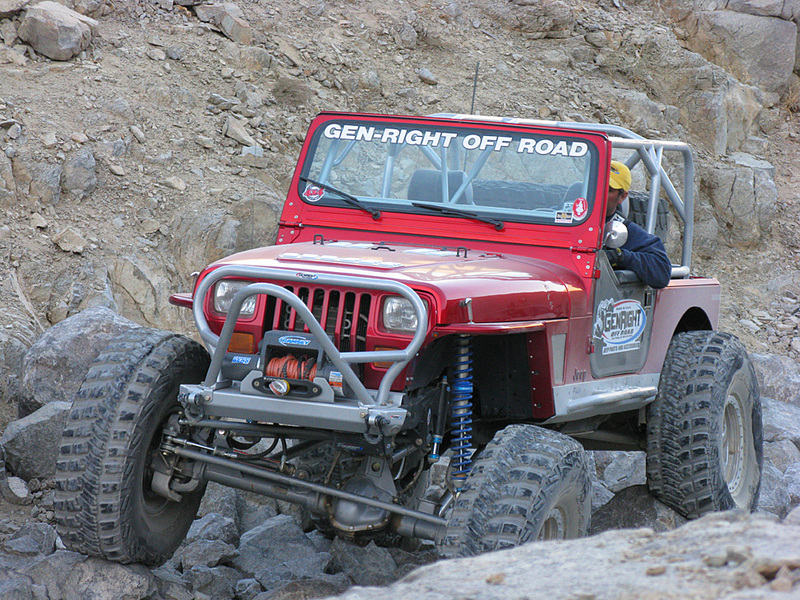 The picture above is from 2009 in Johnson Valley when the Growler was on 42" tires with Currie Rock Jock 60 axles. Above; In August of 2012 a 550HP aluminum Chevy LS engine with Magnaflow exhaust (and York compressor) were dropped in the Growler. 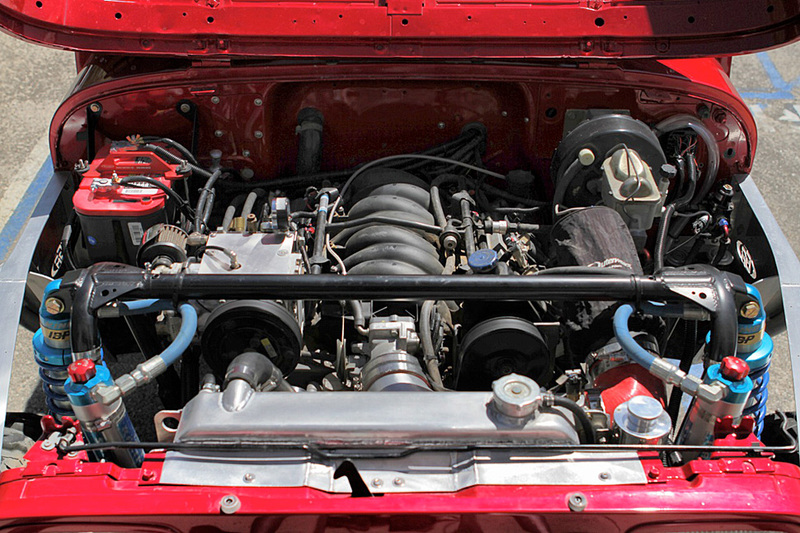 At that time a Griffin aluminum radiator and King 2.5" IBP shocks were also added to handle the HP and speed. Above; This picture is from the 2012 Ultimate Adventure which covered a total of 1700 miles over 7 days. Starting in Oregon, then up through Washington, over to Idaho and into Montana. Above; this picture was taken during the filming of the RCV commercial at KOH in 2013. The Growler had been outfitted with a competition legal cage in case he wanted to race it in the Modified class. Tony made a 50 MPH pass thru the whoop d do's for the cameras. 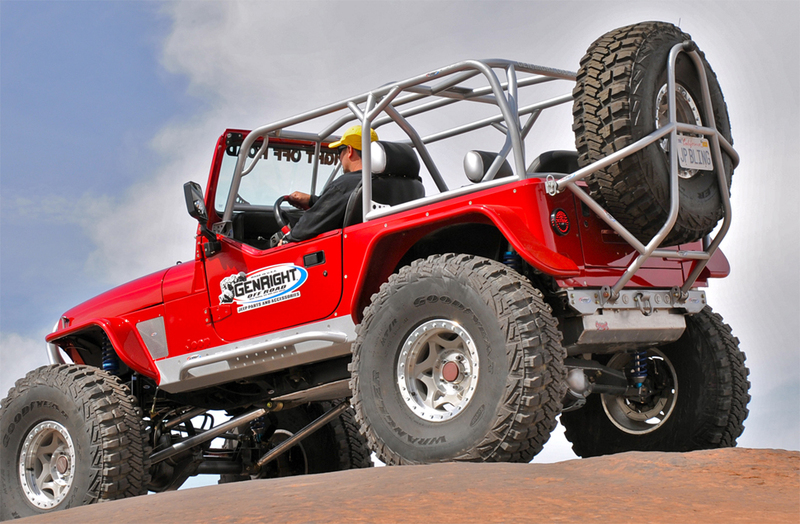 This picture is from March of 2012 where you can see the 7075 Aluminum links, flat belly, Mini Boat side Rockers, 6" wide tube fenders covering the 42" Goodyear MT/R's on Walker wheels and full GenRight roll cage.